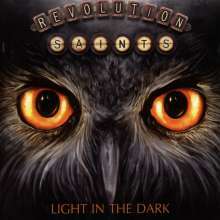 Der Artikel Revolution Saints: Light In The Dark wurde in den Warenkorb gelegt. 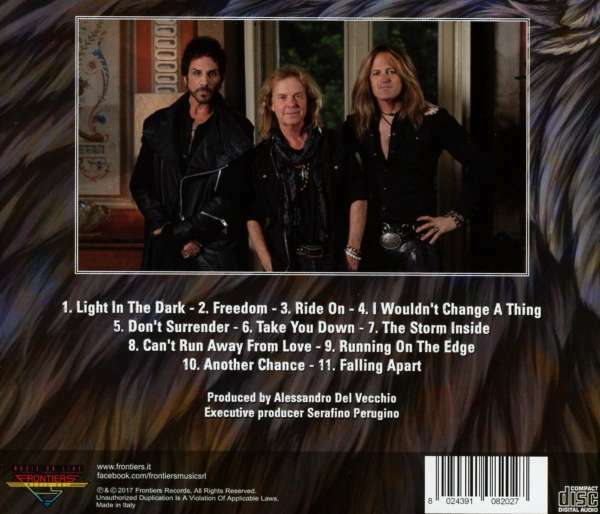 Deen Castronovo, Jack Blades and Doug Aldrich: REVOLUTION SAINTS. After the release of their selftitled debut album in 2015, many naysayers boldly, and quite foolishly, predicted that it would be a one-off project that would never go anywhere and that it wasn’t worth listeners’ time. 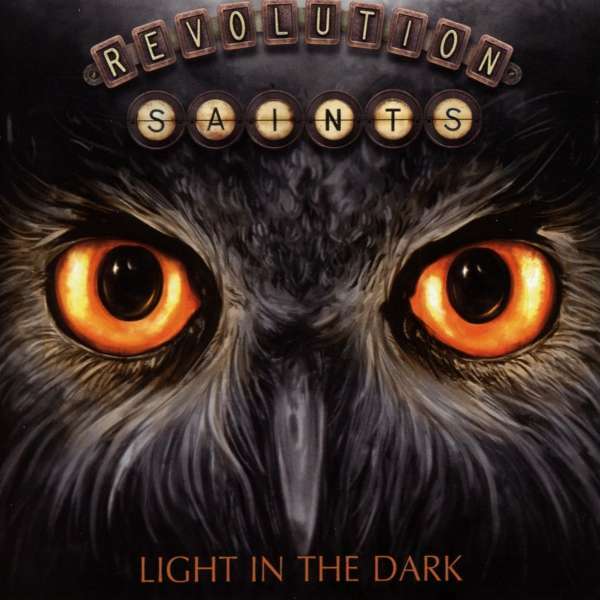 But internet trolls and knownothing blowhards are never as sharp as the music listening public, who relied on their smarts and their hearts to simply enjoy the music and kept the faith that Revolution Saints would be back. And now those fans are about to be rewarded with THE melodic rock record of the year, and quite possibly, the decade! With one album already under their belt, the core line-up entered the studio to record the new album more familiar with one another and a clear understanding of where they wanted this to go. Superbly handling drums and lead vocals once again is Deen Castronovo (ex-Journey, Bad English). As with the first album, his superb vocal talents are in the spotlight on this release and deservedly so. Pretty impressive for a man who is most widely known for his incredible drumming talents. Jack Blades really needs no introduction at this point, but for those who have been living under a rock, Jack’s bass and vocal talents are well documented over the years through his work with Night Ranger, Damn Yankees, Shaw/Blades, and more. It should come as no surprise to hear that he is on fire on this record. Once again on guitar, Doug Aldrich (Burning Rain, ex-Whitesnake, ex-DIO) was excited to bring not only his six-string talents to this album, but also his songwriting abilities. The record builds off the classic melodic rock style of the debut, but fans should prepare for a somehow even more inspired set and a few (pleasant) surprises. Inspiring, uplifting, emotionally powerful, and thoughtful, this album WILL be the soundtrack to many a moment in your life.